This alien page includes horned aliens, dancing aliens, a hippie alien and even a cute little red alien. We can't forget the one eyed monster alien. We try to include aliens for both light and black backgrounds because many space related websites sit on black designs. Bright colored space alien on a black background. Space alien police officer hard at work. Face of a dark alien with a big bump on his head. One eyed monster animated clipart on a transparent BG. Winking space alien with a cone shaped head. The graphic has a shadow on a small white background. Horned green alien with red eyes. This Gif image is transparent with a black matte for use on dark pages. Green monster alien with bright red eyes. This alien has a white matte so is best used on white or light colored pages. Long face of an alien with bright eyes and orange skin. 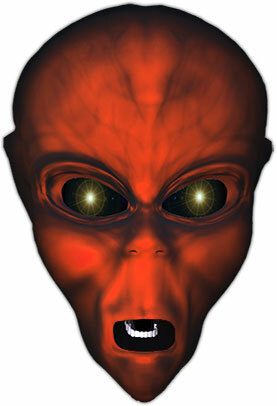 Cute red alien with animated eyes and moving antenna. Alien with flashing eyes on black. 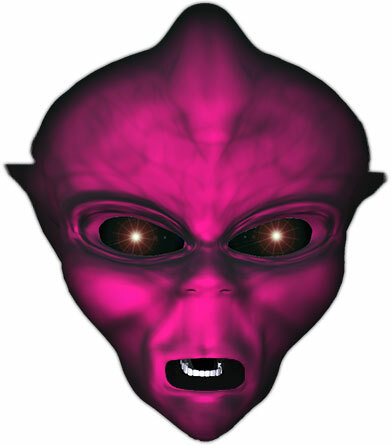 Our alien animations and graphics may be used on your personal, non profit educational (including school projects) and social networking pages. 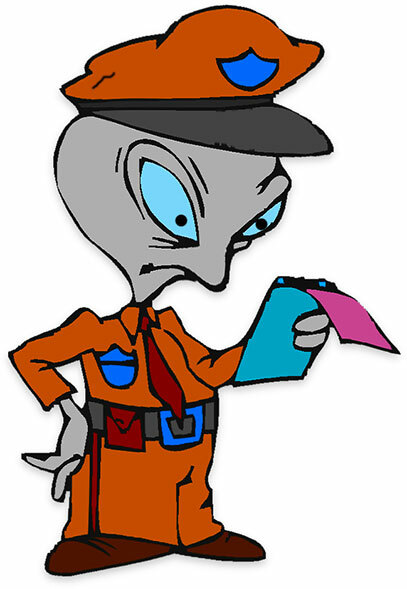 To use our alien clipart and animations please give us credit. You may simply copy and paste the small snippet of html below into your credits page if you wish.